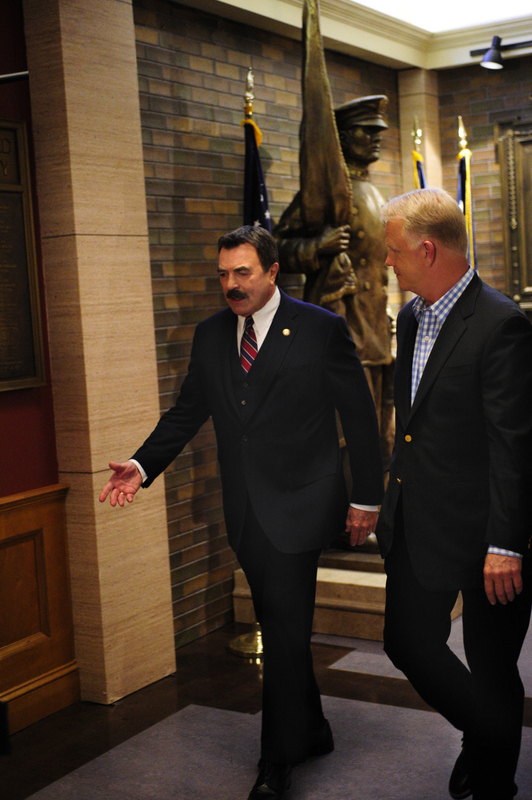 Boomer Esiason, an analyst for THE NFL TODAY on CBS, will appear as himself when he pays a visit to Commissioner Frank Reagan (Tom Selleck) at his office. Reagan thanks Esiason for his work with the Women and Kids Fundraiser and asks if there is anything he can do for him in return. Boomer then makes a request that even the Chief of Police will find difficult to grant. Photo: John Paul Filo/CBS ©2014 CBS Broadcasting Inc. All Rights Reserved.